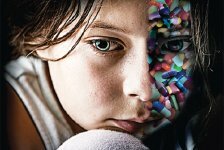 Citizens Commission on Human Rights documentary alerts Australians to dangerous practices that threaten the lives and wellbeing of the people of the country. 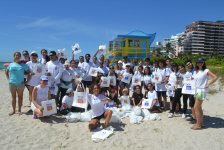 Volunteers chip in on a cleanup in Miami to preserve one of their city’s most cherished resources. 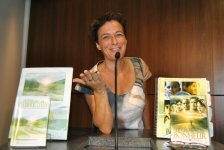 The Way to Happiness inspired the artwork of young children in Hungary, who also gained a new understanding of positive personal choices by illustrating its precepts. 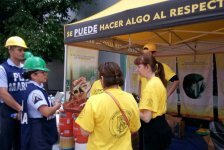 In the year since last September’s devastating Mexico earthquake, Scientology Volunteer Ministers have been making the country safer through a disaster preparedness program. 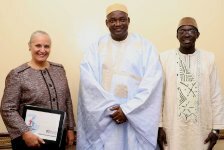 The partnership between Youth for Human Rights International and the Beakanyang Kafoo nonprofit continues to infuse a culture of humane values into the country through grassroots human rights education. 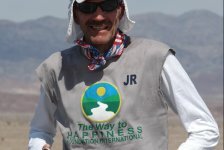 64-year-old John Radich finished a 61-hour, 135-mile solo run through Death Valley despite blistering 127-degree weather to raise funds for his favorite charity—The Way to Happiness Foundation. Youth for Human Rights launched an anti-hate campaign on the anniversary of the Unite the Right demonstration in Charlottesville, Virginia, that left 30 injured and one person dead. 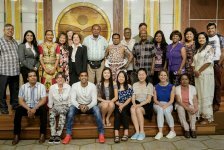 To counteract hate and promote human rights and decency, the Washington, D.C.
World Humanitarian Day open house at the Nashville Church of Scientology acknowledges volunteers and inspires others to take action, exemplifying the spirit of the day. Citizens Commission on Human Rights brings Psychiatry: An Industry of Death Exhibit to the capital of the State of Mexico. Bridging cultural differences through friendship at an International Day of Friendship open house. Teams of volunteers from Washington State, Nevada, Utah and Los Angeles help local Scientologists provide relief to firefighters and those affected by the deadly Northern California Fires. 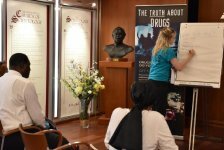 With the risk of an opioid overdose epidemic looming in the country, Foundation for a Drug-Free World chapters throughout Germany meet to coordinate actions to make maximum impact over the coming year. WHAT DOES HUMAN RIGHTS LOOK LIKE? 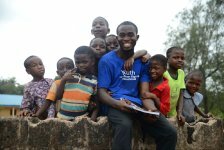 Pascal Chukwuebuka Nwoga is a human rights activist from Nigeria who brings human rights to life for the children at home and in nearby West African countries. 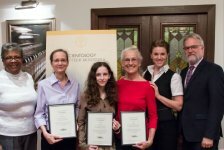 “Never underestimate the value of friendship.” This was the message of a community open house at the Brussels branch of the Churches of Scientology for Europe—a celebration of International Day of Friendship and the Day of the African Woman. 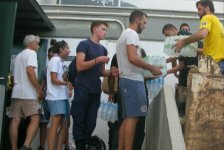 Scientology Volunteers on hand to aid since the July 23 conflagration that destroyed the town of Mati, Greece, continue to bring help and comfort to those in need. At the 14th annual Summertime Swing charity concert at Saint Hill Manor, the Jive Aces deliver an unforgettable afternoon of music and fun. 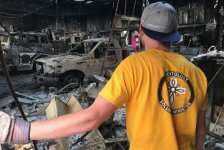 Volunteers from a broad spectrum of nonprofit and church organizations are working together to provide relief to those affected by the worst fire season in California history.